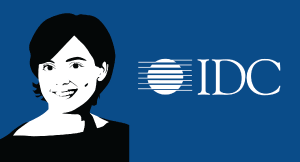 Thank you to IDC for underwriting CXOTALK. Managing the software licensing landscape within most companies is a complex task, which is made more complicated by the sheer number of contracts to be managed (hundreds, if not thousands) as well as the different types of licenses that must be administered. Industry trends such as virtualization, cloud, and increased flexibility in software licensing have added to this challenge, ensuring that the complexities associated with understanding and managing software assets will continue to increase. Most IT buyers are aware of the tangible impacts of these complexities. At best, hours are wasted and thousands of dollars are spent manually counting licenses. At worst, millions of dollars are spent rectifying compliance issues. However, organizations should not only be focused on audit risk, but they also need to take steps to spend software license dollars more. This is the crux of software license optimization (SLO). IDC believes that software license complexity will indirectly cost organizations an average of 25% of their software license budgets in 2015. Software license optimization can help identify and eliminate the inefficiencies that can lead to overspending. Software vendors are increasing the number and scope of their software license audit activities. IDC recommends that customers deploy software license optimization in order to self-audit in advance of an audit, and help to identify and fix the underlying issues that can cause non-compliance. IT buyers should understand the audit key triggers and be especially vigilant with license management when any of the following apply: virtualization/cloud initiatives, mergers and acquisitions (M&A) activity, and cloud migration. According to a recent IDC study on Software License Optimization maturity, IDC believes that most organizations are at the early stages of implementing and successfully carrying out software license optimization initiatives. At the same time, IDC expects that it will become increasingly harder for organizations to achieve software license optimization unless time and resources are permanently dedicated to this effort. In the next 6 months: Identify key individuals that are responsible for software license optimization. This should include at least one dedicated person that can manage software licenses in general and for up to five companies that you spend $1 million on software or more. For every five additional companies that you spend $1 million on, you should have an additional dedicated head count. Understand the key audit triggers, and be especially vigilant with any of the following: virtualization/cloud initiatives and merger and acquisition activity. Identify technologies that can track license entitlements and true software usage. Take steps to self-audit in advance of an audit. Do a proactive review on every vendor that your organization spends $1 million or more on. For some of the big companies, like Microsoft and Oracle, you should review twice a year. The rest can be reviewed once a year. In the next 6-18 months: Build a repository of common licensing terms and conditions and outline accepted practices. Consolidate license agreements and obtain accurate inventory. Institute process changes that complement technology investments. Establish internal controls, including repercussions for people that deploy software that they haven't paid for. Answer the following questions for the top 20% of your software assets (by spend amount): Do we need this product? Does it fit within our strategic road map? Are we paying for the correct quantity? When is the last time we called support? Do we need support/maintenance? Retain it, change it, or cancel it. If you have to react to a situation, you've lost money and capabilities. In the next 18-36 months: Drive toward a full life-cycle process with supporting automation. Focus on the areas of the highest spend and value. For each of these applications, use technology and process to instrument and identify how the application is actually being used, create business rules based on usage, and provide recommendations on how to increase adoption and reduce spend. Obtain granular information on software usage to compare with capabilities to optimize spend, and change the nature of the enterprise-vendor relationship. Optimizing license spend is not always synonymous with "cut spending." A better description is "buy what you need and use what you have." In the future, organizations will be managing a hybrid scenario, including a mix of on-premise, cloud, and embedded software; perpetual and subscription licensing; and fixed and variable costs. They will also be facing a complex combination of many more applications and devices to manage; decentralized application purchasing and the proliferation of application access. In addition to bringing new possibilities for what applications can do and for whom, new software business models will generate opportunities, and challenges, for software customers. There is the opportunity to spend software budget more efficiently and in such a way that allows operational expenses to replace capital investment. At the same time, there is the opportunity to push IT spending to the line of business for certain business process workloads. Things like variable-use software licensing or licensing that accounts for the scale-up/scale-down nature of virtual environments are complex. Software vendors will try to mask this complexity by layering on technologies for metering and billing. However, for reduced complexity with increased flexibility to be a reality, customers will play an important role as well. They must take matters into their own hands, using the information generated through software license optimization strategies to determine the best way to buy and manage their software. In an environment where customers have had so little information in the past, the power of information on software usage can be impactful. The #1 interaction where customers engage with vendors, more than support questions, or sales – is pricing and it’s part of the customer’s overall experience.